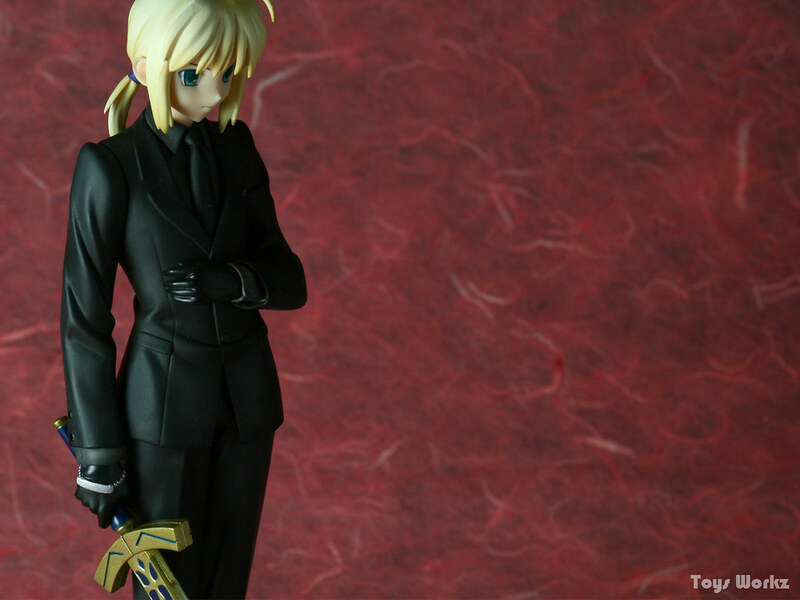 After my last Saber purchase, ebCraft 1/7 Saber, I thought that will be the last Saber that I am gonna buy until they release a version of her in her blue dress. 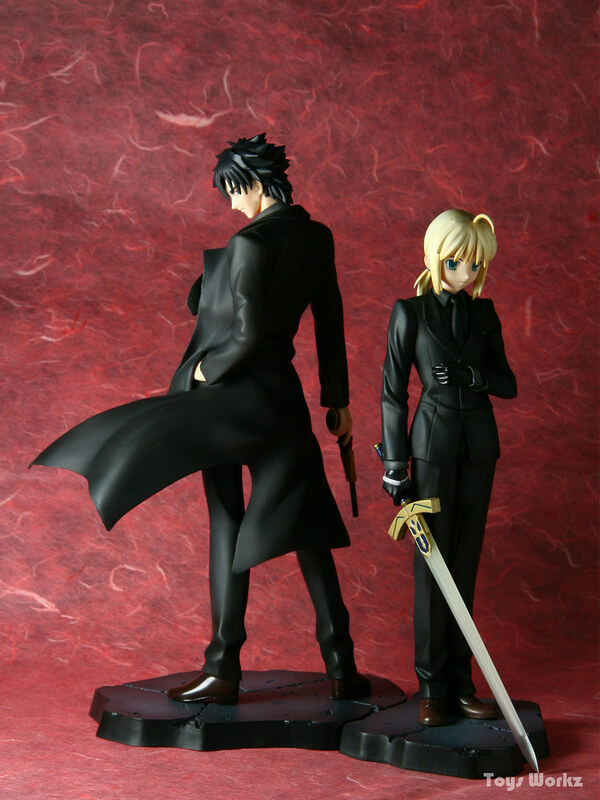 Then suddenly Max Factory announce they will be releasing Fate/Zero Emiya and Saber, and after seeing the prototype, I just couldn’t resist getting both of them. 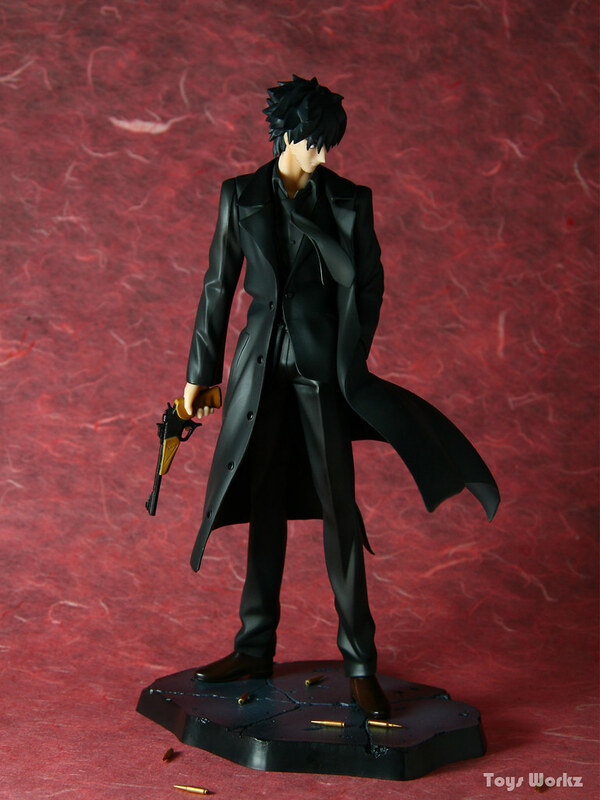 Displaying them with their bases joint together is really a good marketing strategy, it looks so good you just have to get both XD. 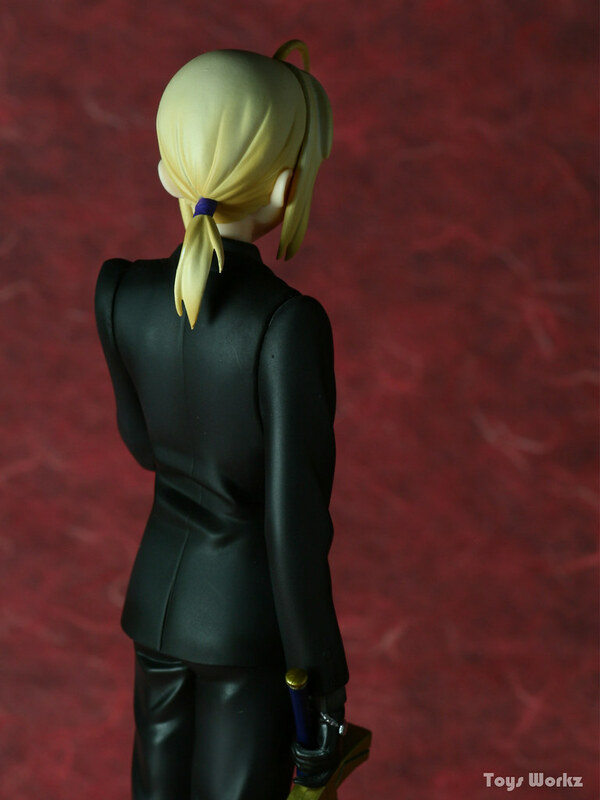 Saber was suppose to be release in December but was delay, and in the end was release together with Emiya, which is good, since I plan to do their shoot together anyway. 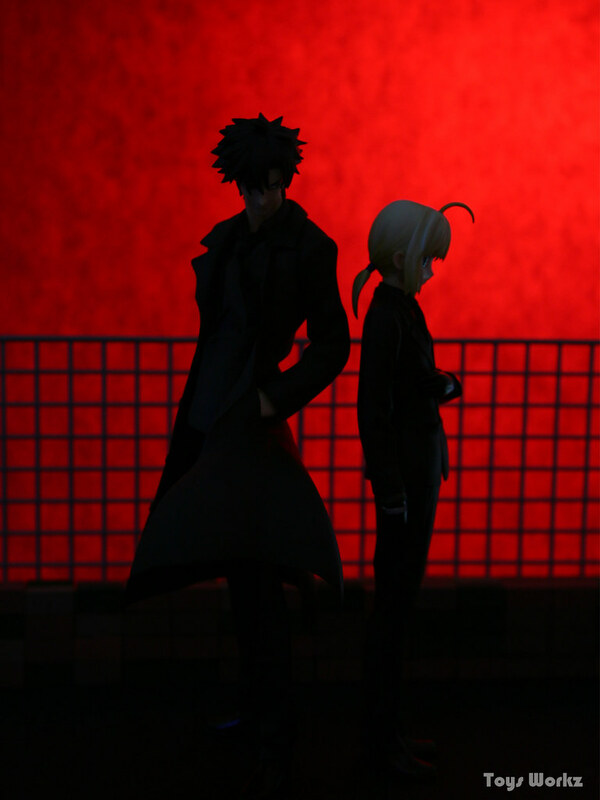 Let’s start off with a shot inspire by lu-k’s silhouette shot of Emiya and Saber. 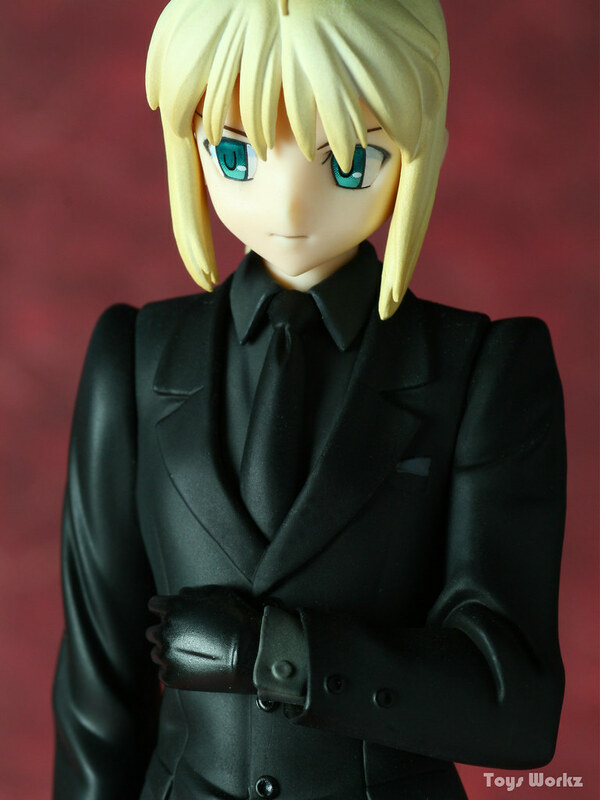 Both Emiya and Saber comes dress in black suits, which looks cool, especially Emiya’s, with his long trench coat. 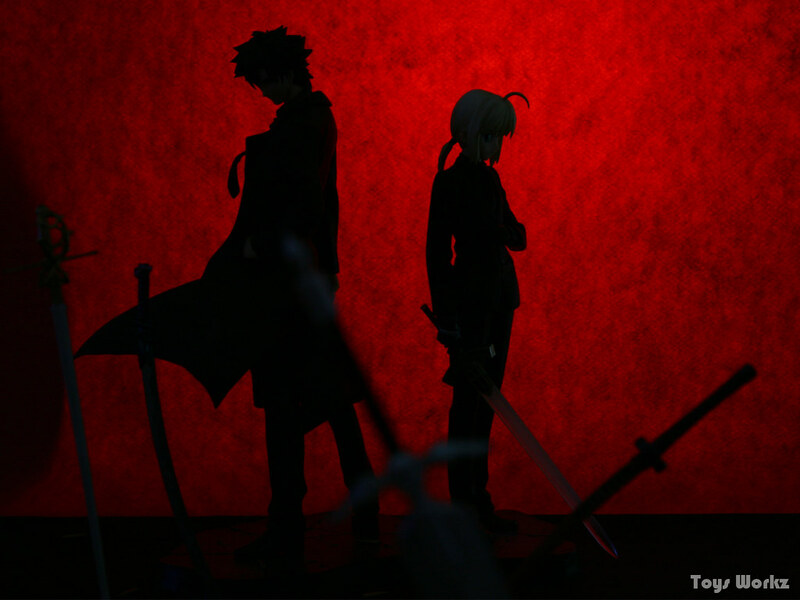 The custom base they came with can be put together, with Emiya and Saber standing back to back. 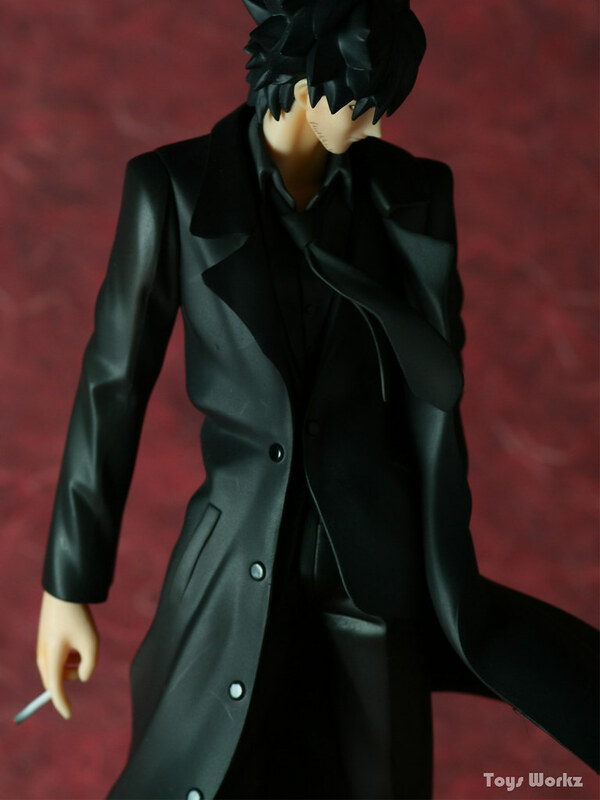 Emiya comes with a pair of exchangeable right hand, one to hold his gun and the other to hold his cigarette. 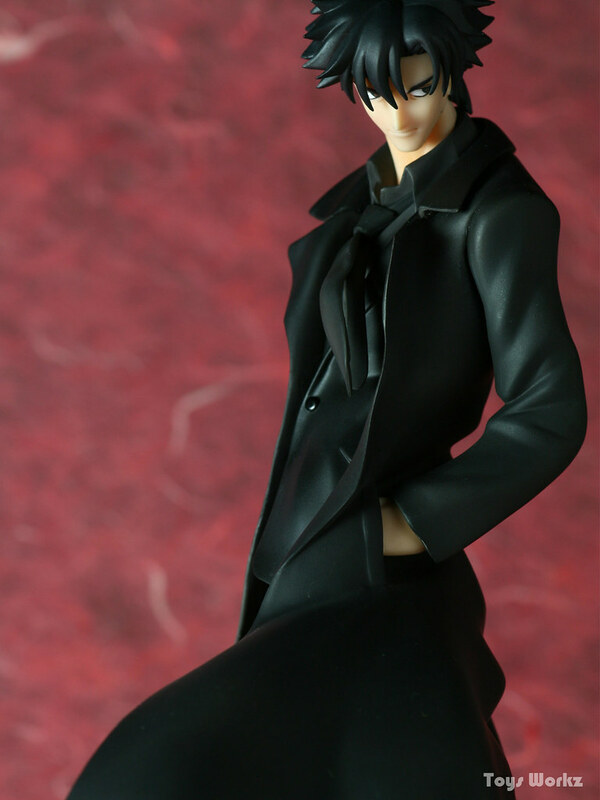 Sculpt and paint work is excellent as expected from Max Factory, even the shoes are painted with a shiny look to it. 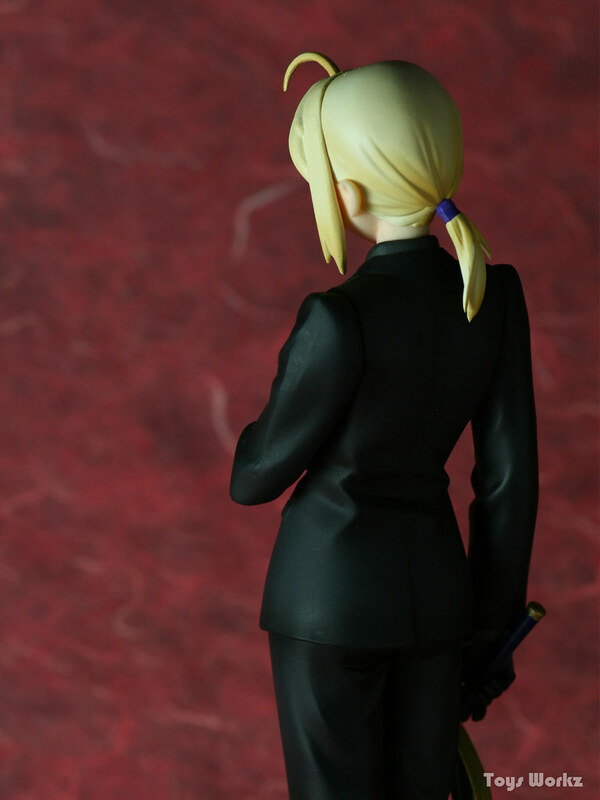 Detailing is good as well on both Emiya and Saber. 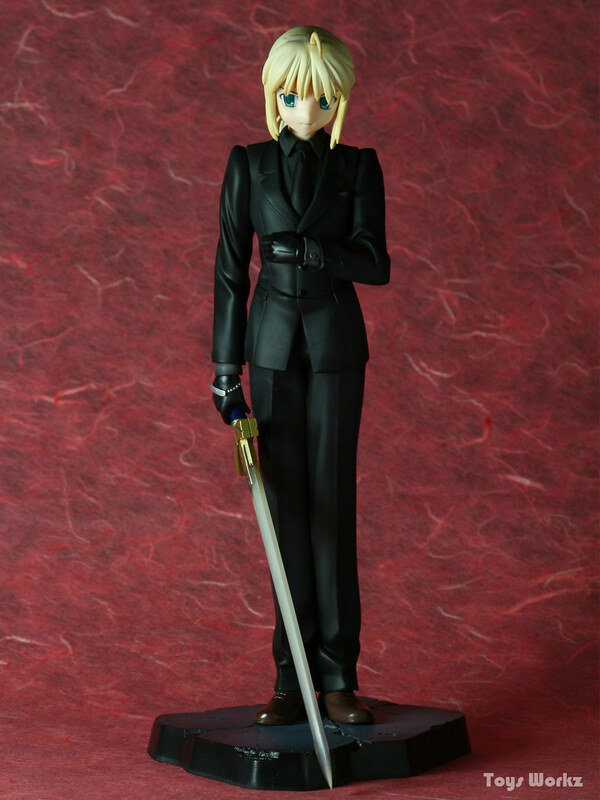 Compare to Emiya, Saber does looks a little plain, with her upright pose. 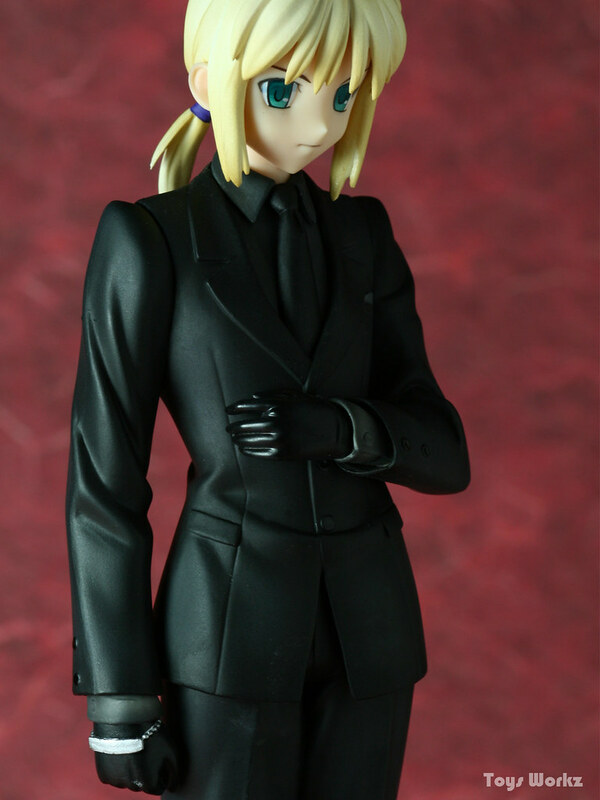 On closer look there’s some nice detail like the bracelet on her right hand, the little handkerchief in her suit pocket. 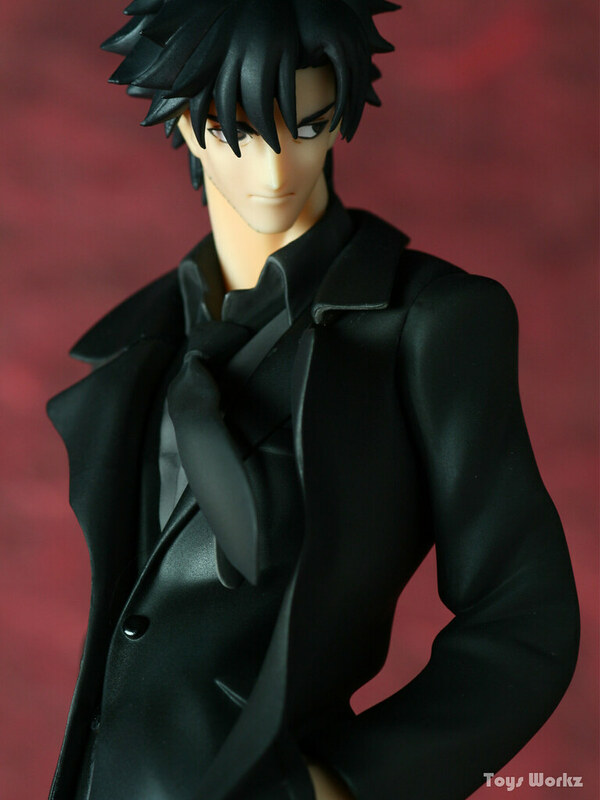 This version of Saber looks quite manly compare to the rest of the Saber in my collection XD. 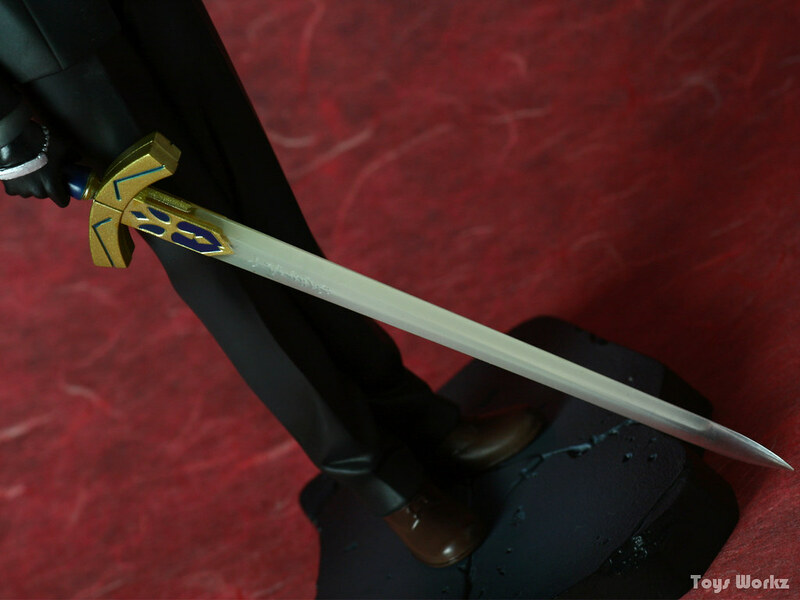 Saber’s Excalibur, there’s some writing on the blade but can’t really make out what it is though. 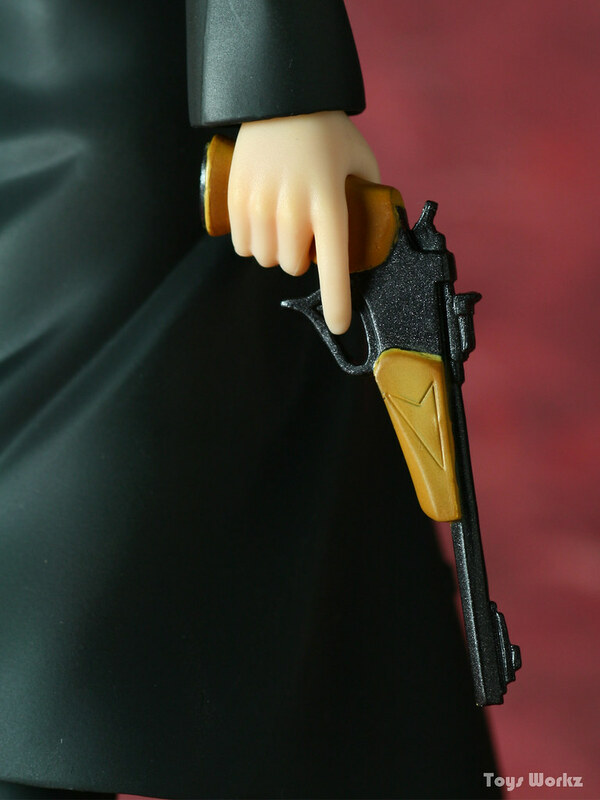 She comes with an additional hand but it’s just a clenched fist though. 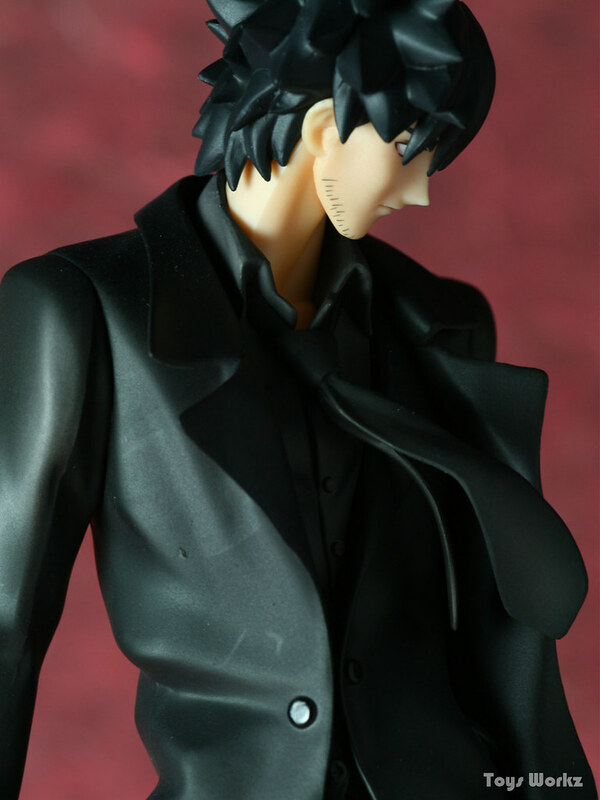 A battle aftermath silhouette shot ^^. 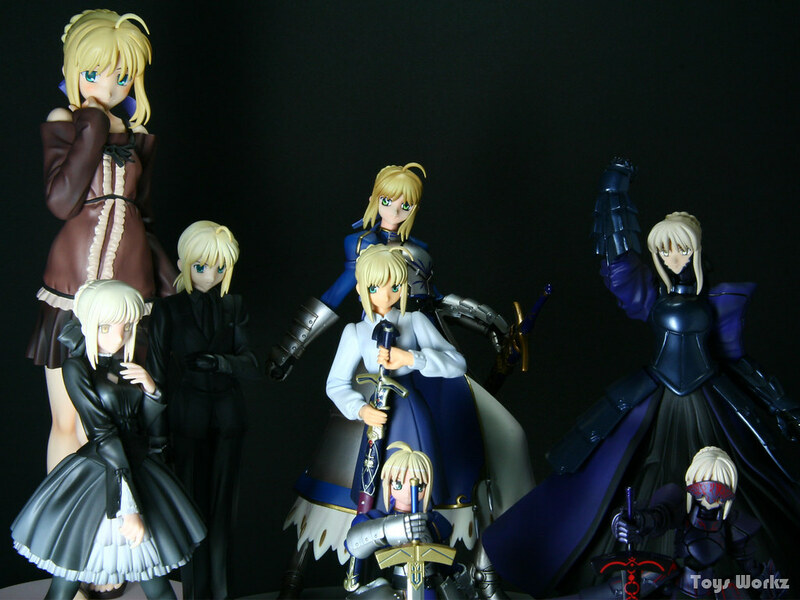 With the addition of Fate/Zero Saber, I now have a total of 8 Sabers ^^. I still hoping someone would release a Saber in her blue dress, same as the one release by Clayz, and my Saber collection will be complete. 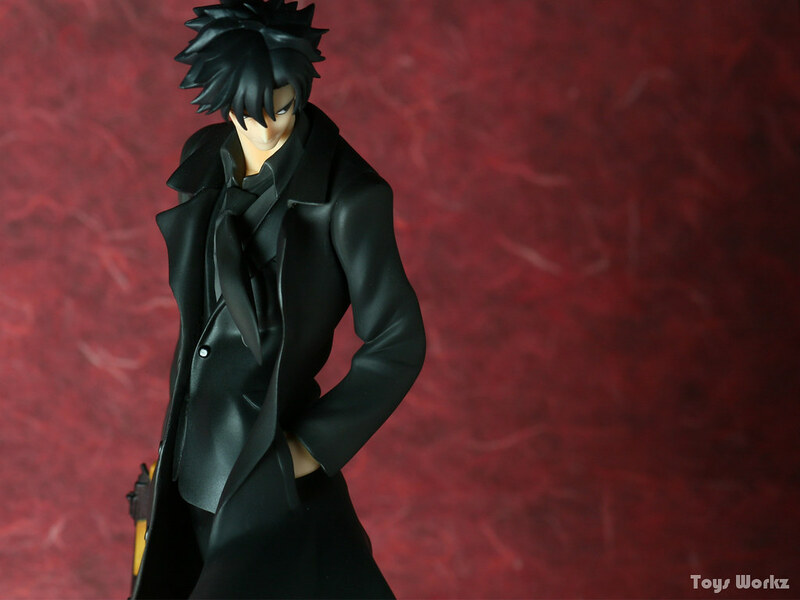 Do check out super rats excellent shots of Emiya and Saber here and also lu-k’s version here. 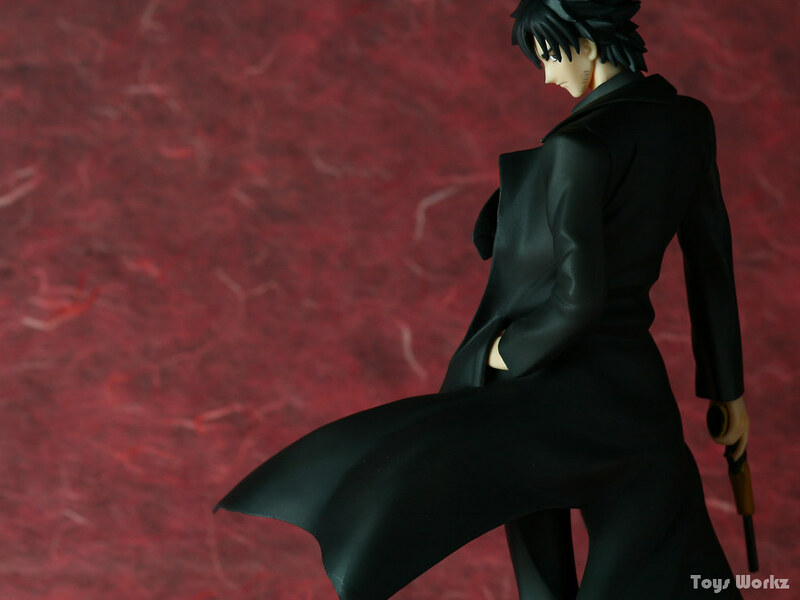 This entry was posted in Cosplay, Figure Reviews, Model Kits, Photography on June 5, 2018 by Rosemary Curtis.